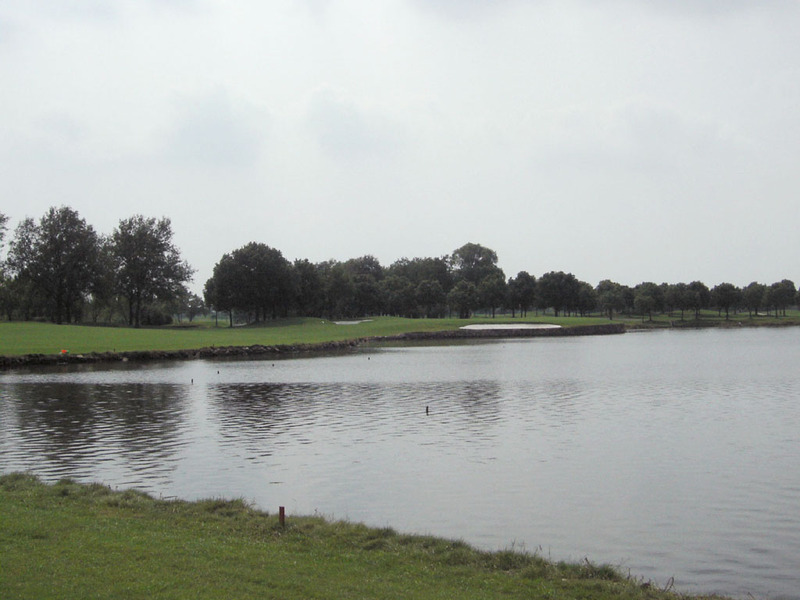 The course is flat with a lot of lakes. 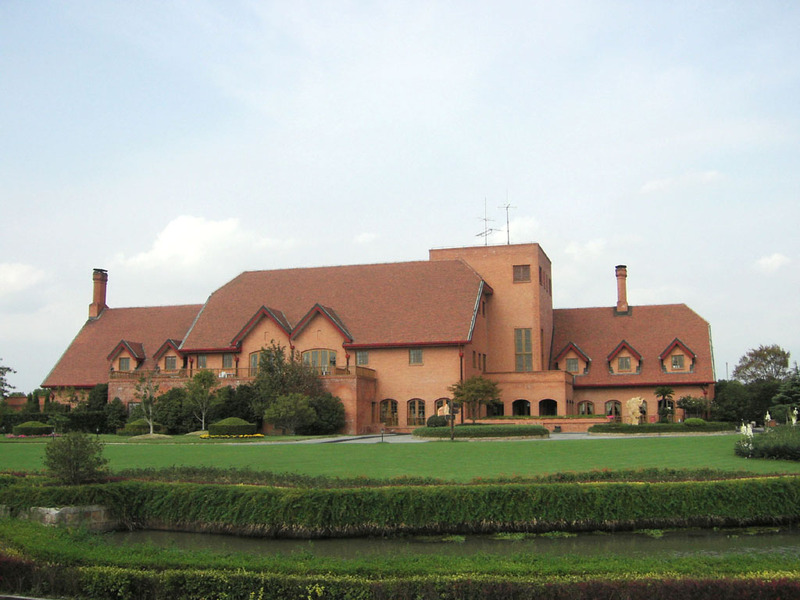 This is the oldest golf club in Shanghai. 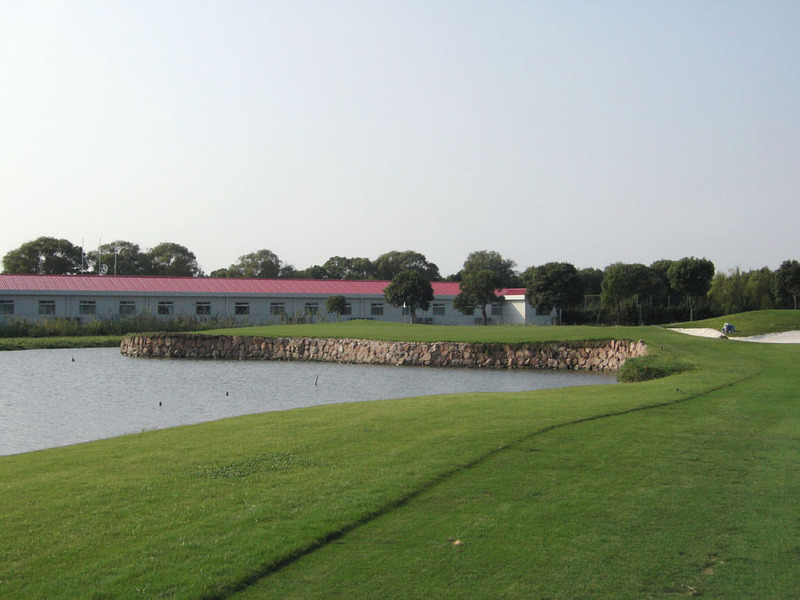 The lakes and bunkers are well positioned demanding you accurate shots. The greatly elevated 10th green and the sharply sloped, double-tiered 18th green dropping to the back are impressive. 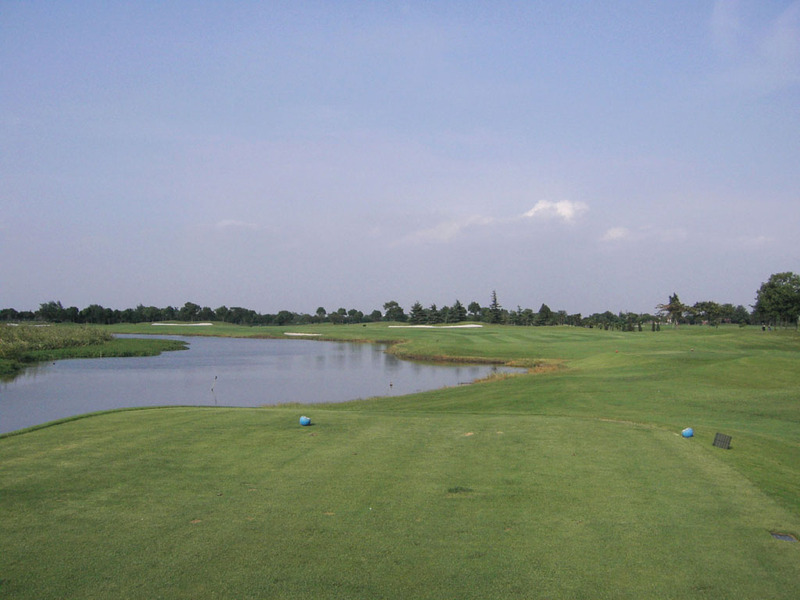 A demanding par 3 over water. A precise carry is needed to clear the lake bordering the front edge of the green. 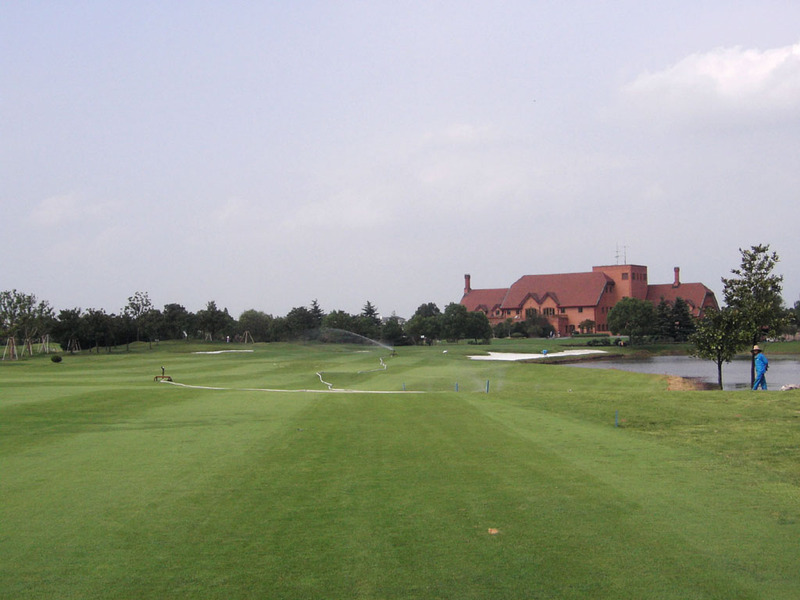 The lake comes into play on the right of the green as well, so fade players need to be careful. 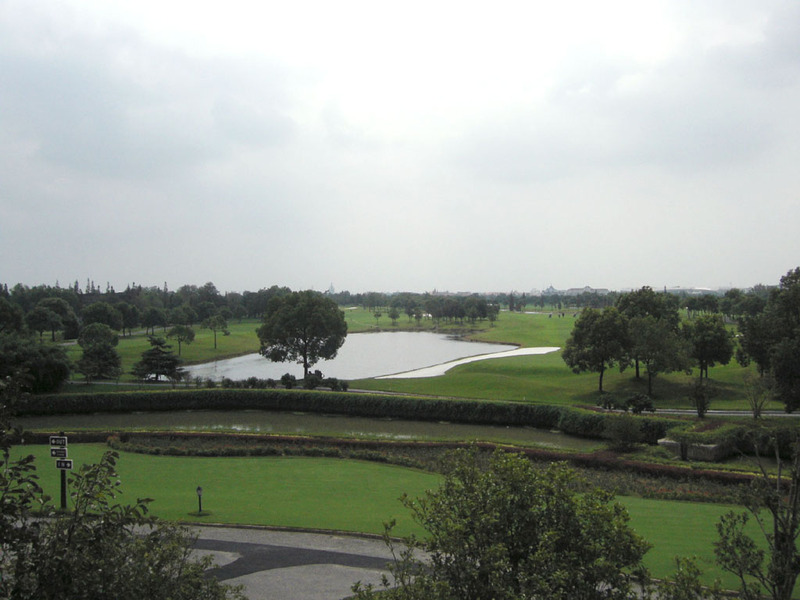 A sharp dogleg to the right。 It’s almost like a semicircle around a lake. Both the tee and the second shots must be accurate. A long par 4. You like to drive hard to get good distance off the tee. The green is deep but not wide with bunkers guarding both sides. 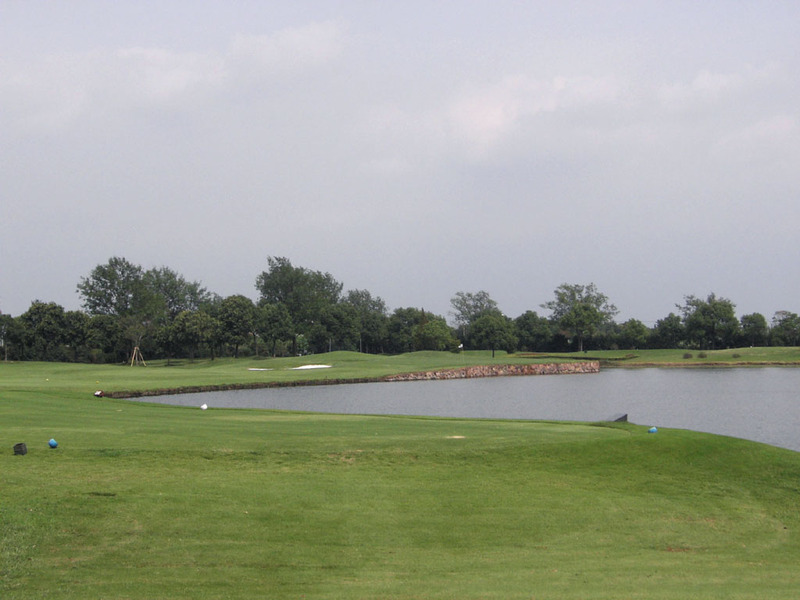 The right bunker also faces a lake, making this hole more difficult. 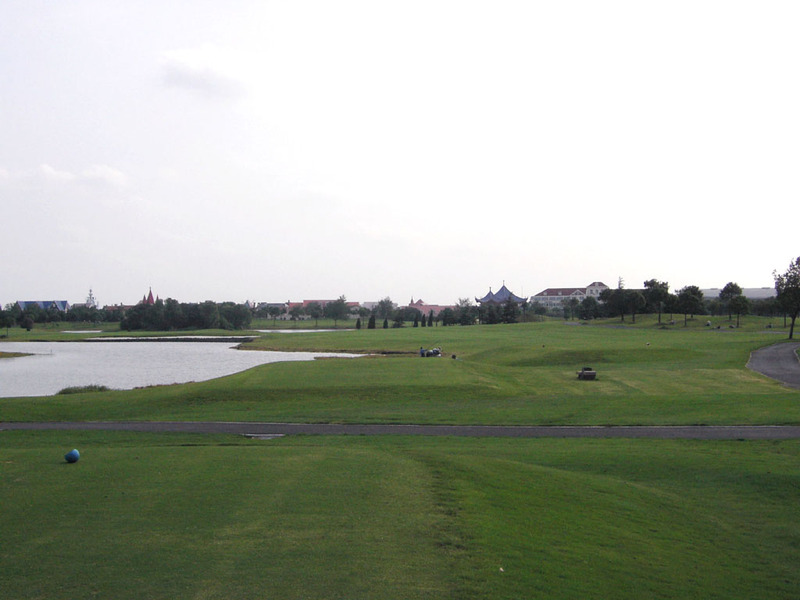 A difficult hole with a slight dogleg to the left. 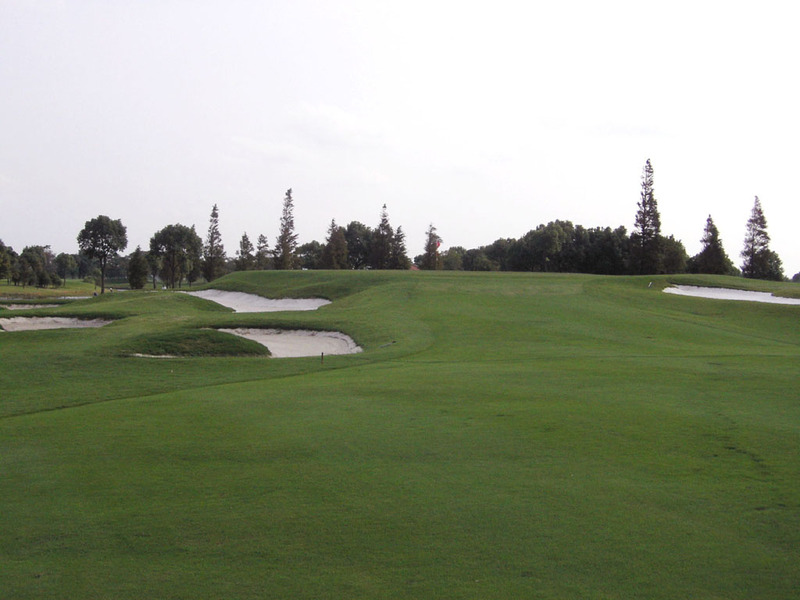 The green is highly elevated and the left bunker guarding it is very deep, so you should avoid the bunker. 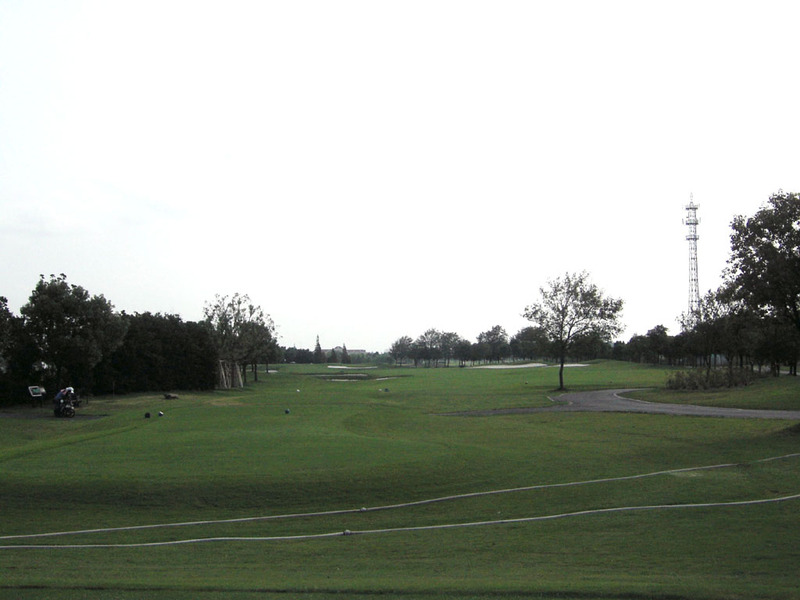 The green is big and when your ball on the green is far away from the pin position, you have a risk of 3 putts. 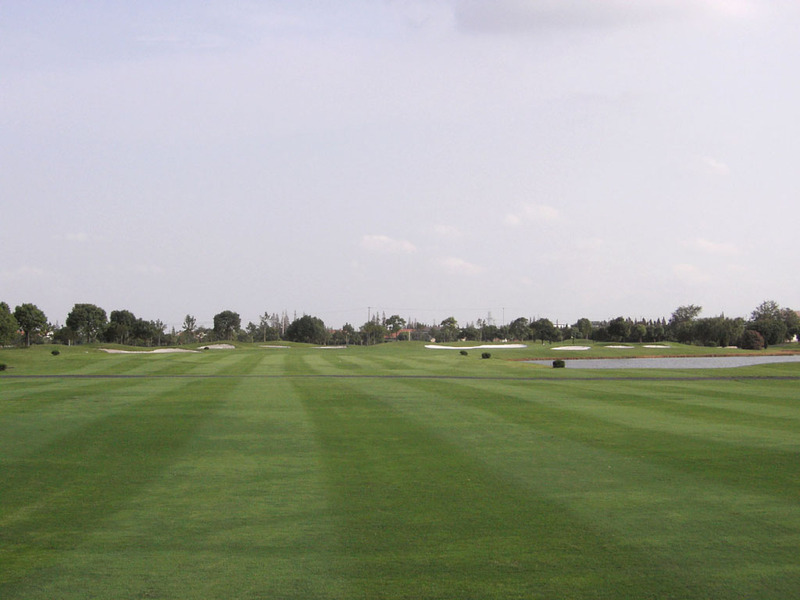 A “S” shaped hole with dogleg to the right first and then a dogleg to the left. 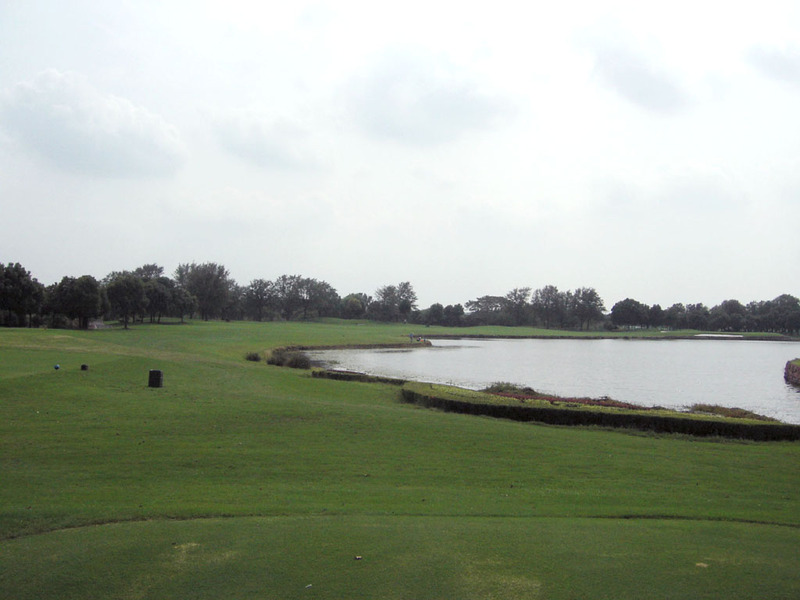 A lake on the left on the tee shot and a lake on the right on the second shot will come into play. The bunkers guard the green well. A hole curbing to the left and further to the left like a crescent. All the left sides from the tee to the green border a lake. A long hitter can reach the green in 2 but when his second shot is not accurate, he will end up with a bogie or worse. 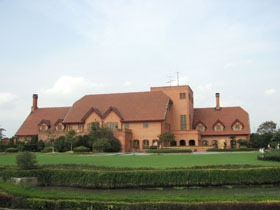 It takes about 50 minutes from Central Shanghai by car and a club bus is available from the city. 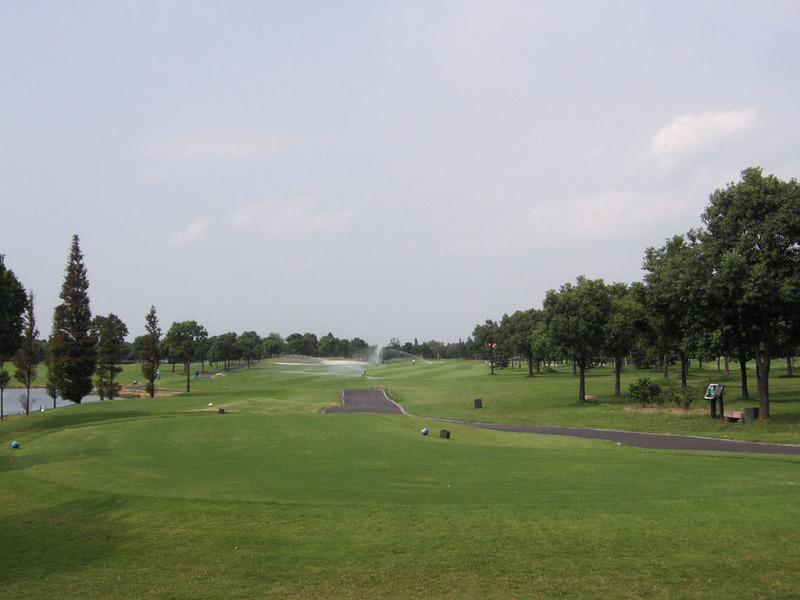 Visitors need to have a member’s introductions or must be accompanied by a member to play. 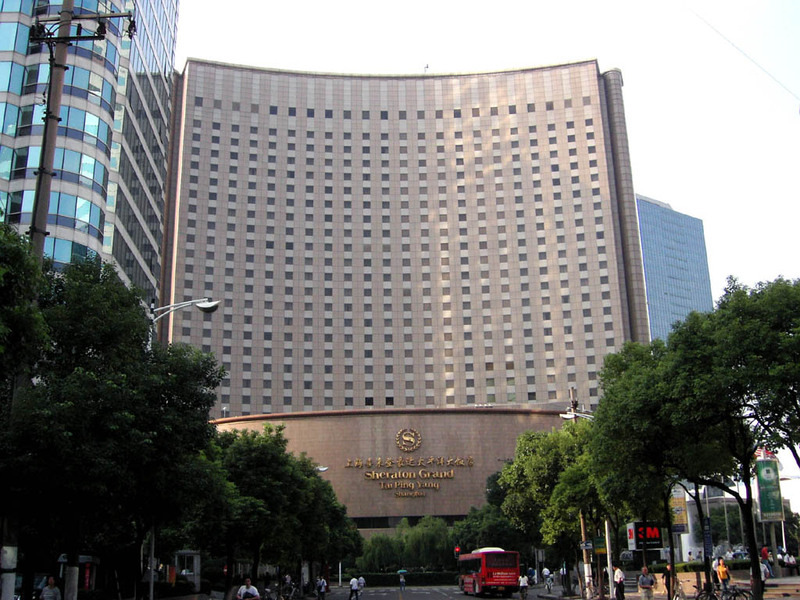 When you stay at Sheraton Grand Tai Ping Yang Hotel, you can play as long as the hotel applies for it. 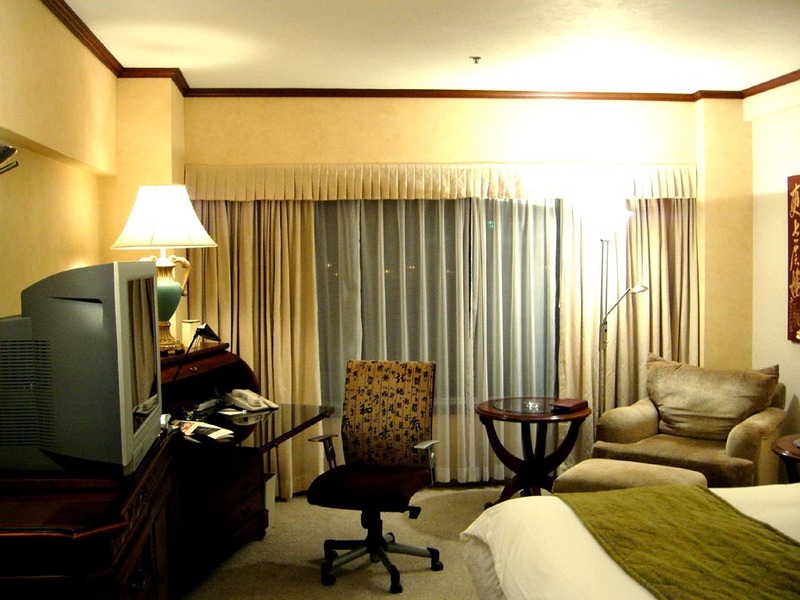 A free shuttle bus is available from the hotel. There is a Jacuzzi bath and a sauna. 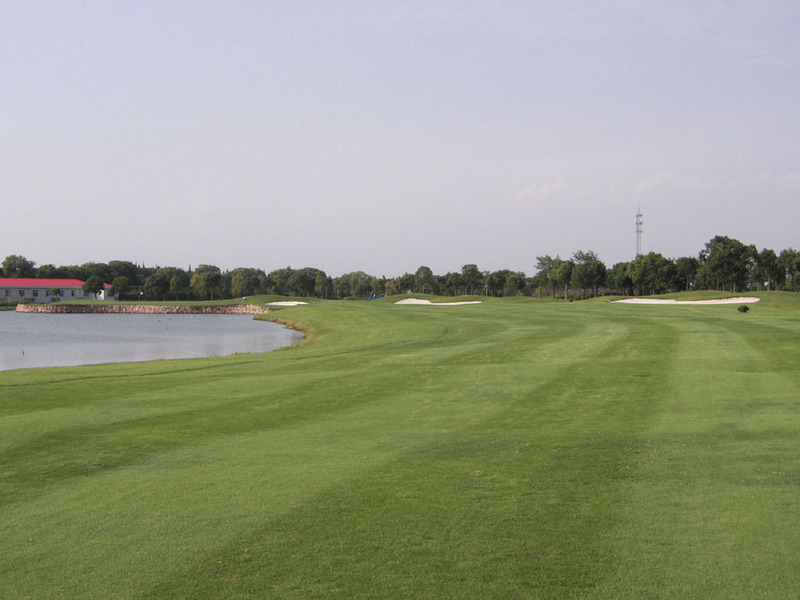 You can play from the longest tees when it is not crowded. 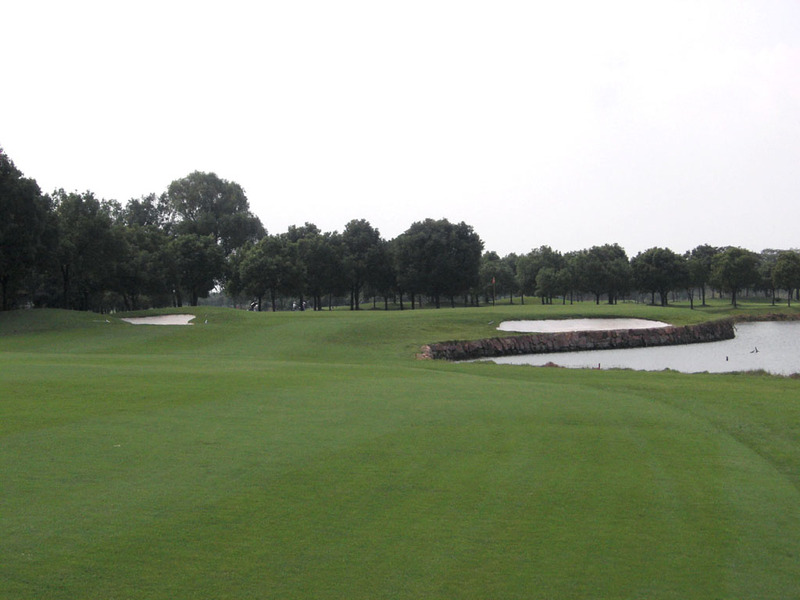 The other Robert Trent Jones Jr. designed courses in China are Spring City (春城) G&LR – Lake Course, Sunshine （陽光）GC, Harbour Plaza (東筦海逸) GC, Trans Strait (海峡奥林匹克) GC, Yalong Bay (亞龍灣) GC and in Hong Kong Discovery Bay (愉景灣) GC.